Rallies accusing Israel of practicing apartheid may be old hat, but the involvement of Episcopal church leaders gave last weekend’s conference in Boston greater stature than such gatherings might ordinarily enjoy. The Episcopal Bishop of Massachusetts, Rev. M. Thomas Shaw, was a featured speaker at the “Israel-Apartheid” conference, and the Episcopal Divinity School, which trains the church’s future leaders, co-sponsored the event. Some may see this antipathy to the Jewish State and apparent indifference to the suffering Israel has endured as analogous to the Holocaust years, when most Episcopal church leaders were largely indifferent to the suffering of the Jews in Hitler Europe. But it is important to remember that then, as now, there were also prominent Episcopalians who stood up for the Jews. By contrast, Rev. William Temple, who succeeded Lang as Archbishop of Canterbury in 1942, was an outspoken advocate for the Jewish victims of Hitler and did not hesitate to take unpopular positions, such as urging the Allies to grant asylum to all Jewish refugees. In fact, part of the reason the Roosevelt administration decided in 1943 to hold its sham refugee conference in far-off Bermuda, away from the eyes of the public and media, was because it was worried about “Canterbury giving publicity in the press,” as Assistant Secretary of State Breckinridge Long wrote in his diary. In the United States during the Holocaust, most Episcopal leaders, like most leaders of other church denominations, refrained from speaking out about the Jews’ plight. But there were important exceptions. 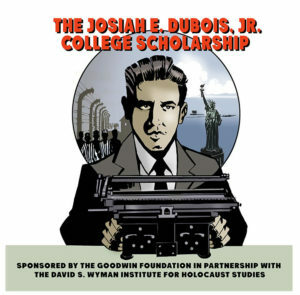 Two Episcopal schools, the General Theological Seminary (New York) and the Berkeley Divinity School (Connecticut) were co-sponsors of an important “Inter-Seminary Conference” about the Holocaust in early 1943. Organized by student activists from the Jewish Theological Seminary, the conference was the first attempt to rally Jewish and Christian religious opinion in support of rescue. A number of Episcopal leaders were active in the Emergency Committee to Save the Jewish People of Europe (better known as the Bergson Group), which lobbied for U.S. action to rescue Jews from the Holocaust. Episcopal Bishop Henry St. George Tucker of New York was a featured speaker at its landmark 1943 Emergency Rescue conference. Rev. H.P. Almon Abbot, Rev. Rev. Harry Longley, and Rev. W. Bernard Stevens, the Episcopal bishops of Kentucky, Iowa, and Los Angeles, respectively, were co-sponsors of the conference. Rev. Stevens also co-sponsored the Los Angeles performance of “We Will Never Die,” a theatrical event that the Bergson Group used to raise public awareness of the Holocaust. In the autumn of 1943, the Bergson Group conference initiated a congressional resolution urging creation of a U.S. government agency to rescue Jewish refugees. The Roosevelt administration vigorously opposed the resolution, arguing that nothing could be done to rescue the Jews except to win the war. In the midst of this battle, eight Christian leaders issued an important statement endorsing the resolution. Among the signatories were two Episcopal bishops– Rev. William Manning of New York and Rev. Thomas Heistand of Harrisburg. Now consider this irony: another signatory was Dr. Angus Dun, dean of the Episcopal Theological College –the former name for the Episcopal Divinity School, which co-sponsored last week’s “Israel-Apartheid” conference in Boston. And yet more irony: another of the signatories was Dr. Russell Stafford, Minister of the Old South Church –the same church which hosted the “Israel-Apartheid” conference. One wonders what Dr. Dun and Dr. Stafford, who spoke out against the abandonment of the Jews in the 1940s, would think about the position their successors have taken today with regard to the Jewish State. It is important to note that the antipathy towards Israel exhibited by the aforementioned Bishop Shaw, speaker at the “Israel-Apartheid” conference, has not been adopted by the Episcopal Church as a whole. At the last national Episcopal convention, three resolutions hostile to Israel were brought before the resolutions committee–a committee that was chaired by Bishop Shaw. Thanks to intense lobbying by Prof. Dennis Hale, an Episcopal lay leader who teaches at Boston College, Rev. Dr. Bruce Chilton of Bard College, and Sister Ruth Lautt O.P., a Dominican nun from New York, the resolutions were shelved. Today, as during the Holocaust, there are those within the Episcopal Church whose positions on issues of Jewish concern have raised troubling questions. But it is clear that there are other voices, as well.